Four Canadian composers created compelling musical portraits of four exceptional Canadian women. 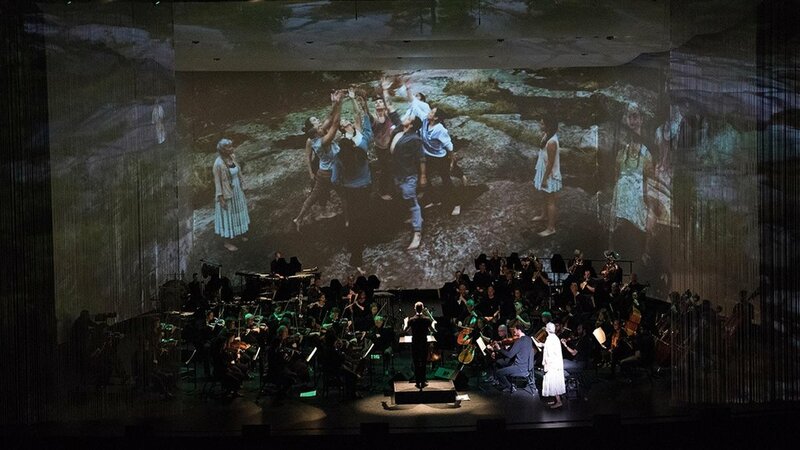 Roberta Bondar, Rita Joe, Alice Munro, and Amanda Todd are the inspiration behind Life Reflected, a unique symphonic and multi-media celebration of youth, promise, and courage. The National Arts Centre Orchestra commissioned four works by Zosha Di Castri, Jocelyn Morlock, Nicole Lizée, and John Estacio to create its largest production ever. 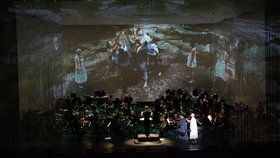 The staging includes stunning projections, which immerse the audience in sound, motion picture, photography, and graphic design. The opening concert of ISCM World New Music Days 2017. Based on the poem by Rita Joe, C.M. I Lost My Talk was commissioned for the National Arts Centre Orchestra to commemorate the 75th birthday of The Right Honourable Joe Clark, P.C., C.C., A.O.E. by his family. The Canada 150 Tour is made possible with leadership support from Tour Patrons Gail and David O’Brien, Presenting Supporters Alice and Grant Burton, Supporting Partners Peng Lin and Yu Gu, Education Partner Dasha Shenkman, OBE, Hon RCM and Digital Partner Facebook.